Supreme Court today refused to entertain a PIL demanding a direction to the Centre to formulate and implement a strong “population control law like two child norm in view of the “exorbitant rise” in the country’s population. “No, we will not entertain this petition. This is a job of the parliament and not of the court. You can approach the government if you want”, the bench headed by Chief Justice Dipak Misra said. “It is the parliament which has to implement the constitution. We can only protect it”, said the bench. 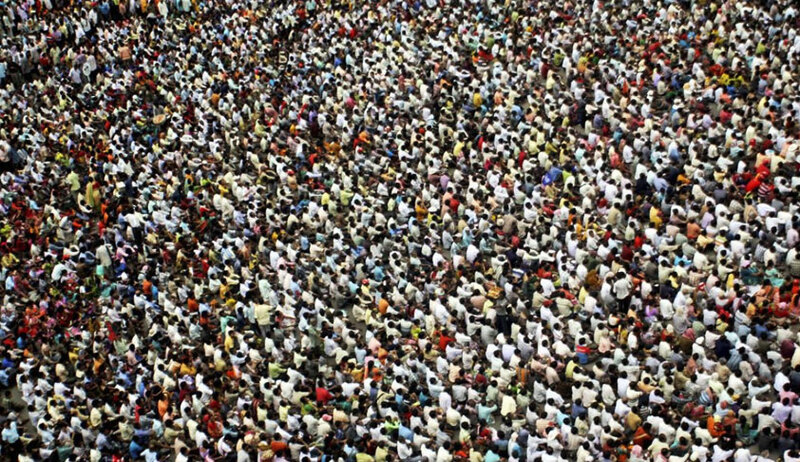 The Petitions filed by advocate Prathvi Raj Chauhan contend that the population explosion, over a period of time, can lead to a “civil war situation” and thus, needs to be curbed. Petitioner also sought a direction to the respondents to formulate policies with a vision to encourage and/or reward the family who is adhering to two child policy and Punish appropriately, who are in non-compliance of the same. The petitioner points out that while India’s population was found to be 361 million during the census of 1951, it skyrocketed to over 1.21 billion during the census of 2011. They then assert that this number is likely to cross the 1.5 billion mark by 2022, as per statistics relating to population growth. “If the present rate of growth is allowed to continue unchecked the population of this country will be 150 crores 2025. In 1951 census it was 361 million. In 1967 it crossed 600 million marks and in early 2000 it has crossed 1000 million. This means that in 25 years between 1951-76 there was an increase of 24 million, but 24 years between, 1976 to 2000 there is further increase of 400 million. With this trend there will be a further increase of 600 million by 2025,” he submitted.